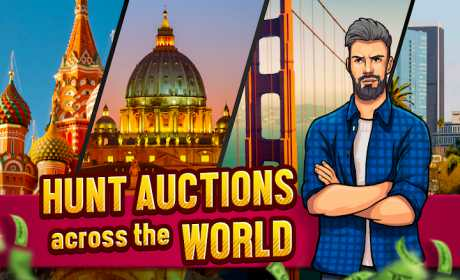 ?PROFIT from your smart deals and unlock new buildings in town to expand your business and make even more money! ?OUTBID your competition in edge-of-your-seat storage auctions. 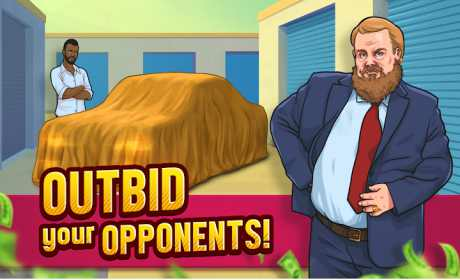 Enjoy intense gameplay as you choose, analyze and bid faster than your rivals in auctions all over the world! 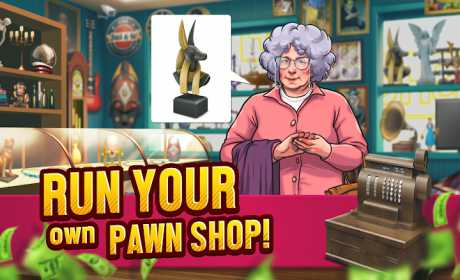 ?RUN your own pawn shop and display your rare and valuable acquisitions. Make customers come from all over the world to spend money on your business and make you rich! ?LIVE through a gripping story with engaging characters on your quest to turn your rundown family business into a city-wide business empire! ?GET KNOWN in the auction world and be noticed by big names on the scene: you never know who might want to do business with you! ?COLLECT a wide range of exotic items, from rare antiques you can restore to cars and boats you can renovate and sell at an epic profit!